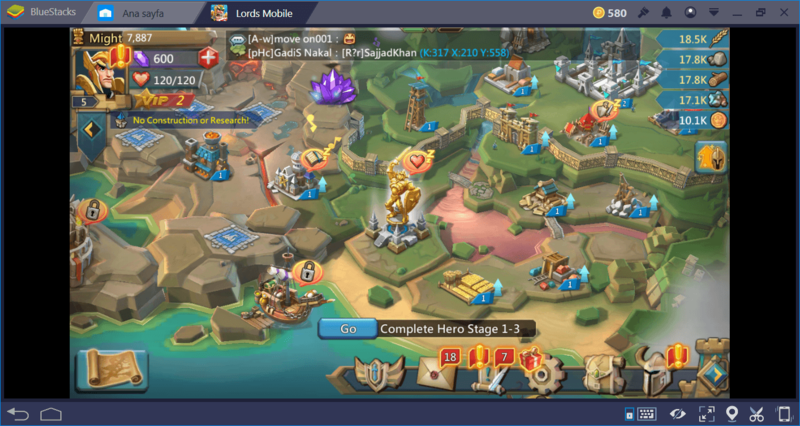 There are nearly 50 heroes in Lords Mobile and each of them offers a different kind of play style. Unlocking new heroes and leveling them fast is an important part of this game: The more heroes you have, the more powerful you are. However, having so many heroes can be confusing, especially for beginners. How to unlock new ones and what to do with them? 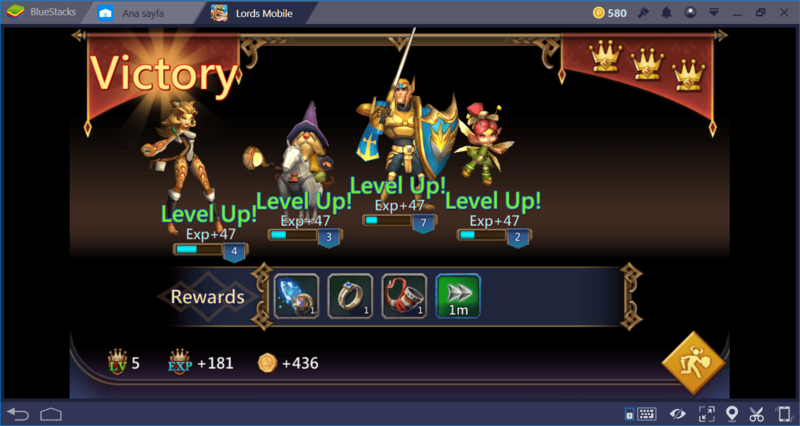 Are there any “quicker” ways to reach the end level? In this guide, we are going to answer these questions. Let’s begin if you are ready: We have kingdoms to conquer. We need an item called “Hero Medals” to unlock new heroes and upgrade their grades. Hero Medals can be obtained through in-game activities, you do not need to “buy” them with real money. Completing elite Hero Stages will award you Hero Medals and you need 10 medals to unlock a new hero, as can be seen below. Let’s start with what “Hero Stages” are. Take a look at your city center: You will see a gigantic golden statue in the middle. Click on it. 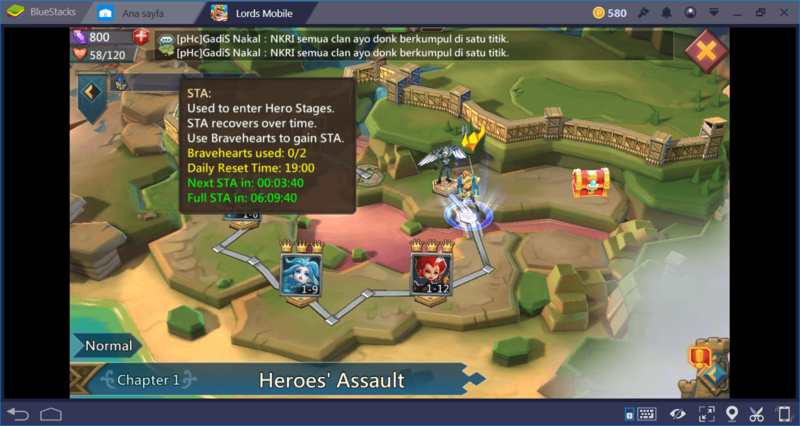 What you are seeing on your screen right now is the “Hero Stages”. Your hero needs to battle through these stages and achieve all of the goals. If you are a true beginner, you must be in Chapter 1: Take a look at the bottom left corner of this screen to see which stage you are currently in. 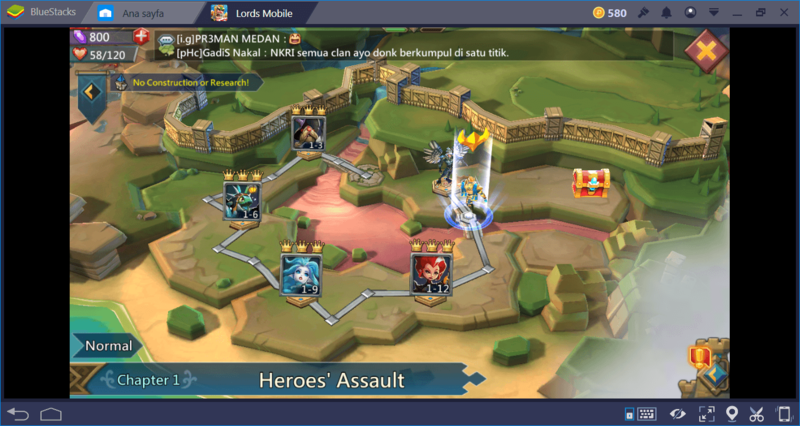 Chapter 1 is called “Heroes’ Assault” and it consists of 18 levels. Now, each chapter and level has two difficulty levels: Normal and Elite. As can be guessed, you need to play the normal difficulty first. After you beat the level in normal difficulty, “elite” version of the same level will be unlocked. Do not worry, you don’t need to play the whole level again: Elite levels only contain mini-boss battles. And once you complete an Elite level, you will be awarded Hero Medals. So, basically, complete Elite levels, get Hero Medals and use them to unlock new heroes. Thing is, each hero requires a different type of 10 Hero Medals which can be obtained only through a specific level. To understand what this means, open up your “Heroes” screen and click on the “question mark” icon to the right. You will see a list of all heroes in the game that can be unlocked. Click on any hero you want: In this example, we clicked on “Rose Knight”. As can be seen on the screen, the Hero Medals required to unlock Rose Knight can only be obtained through Elite levels 6-12 and 8-9. If you want this hero, you need to play these levels on Elite difficulty. 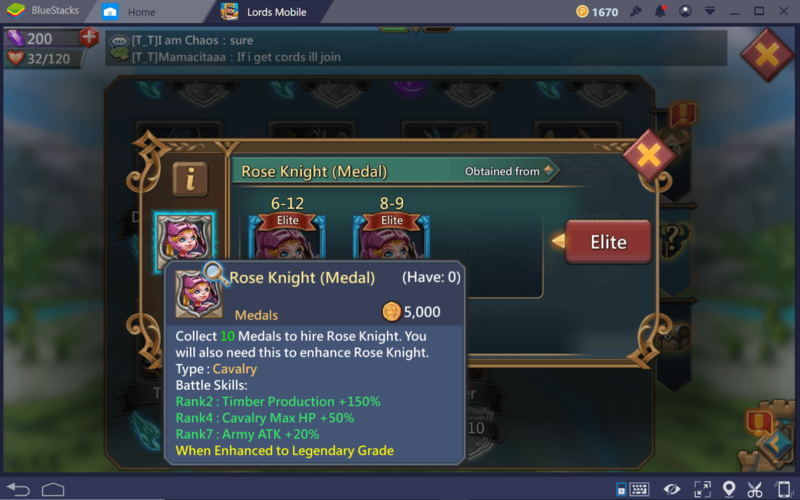 Other levels will still award Hero Medals, but you won’t be able to unlock Rose Knight with them. If the name of a level is greyed-out on this screen, it means you did not unlock the Elite version of that level yet. Complete the normal version of the level first, unlock Elite difficulty, and complete it too to get the Medals required to unlock that specific hero. Once more: You need 10 Medals in total for every hero. After unlocking them, simply click on the “hire” button to recruit your new hero. There are many ways to level up your hero but some are more efficient than others. The first method is called “sweeping”. Sweeping is related to Hero Stages. Once you complete a level on Normal or Elite difficulty, you get the ability to “sweep” the same level. This means you can instantly complete it without having to play. Just click on the blue sweep button and voila: The level is completed in a second. You will still get the experience, items, and even medals if you swept the Elite version. The good news is, you can allocate the experience points to any hero you want. You guessed it right: Give them to your newly unlocked hero. You do not even need to take him/her to the combat. Let your other experienced heroes fight and give the experience points to the “newbie”. That’s not all: By sweeping the stages, you will also be awarded XP foods. There are four different types of XP foods in the game and they can give 60 to 7.500 experience points to your hero. Keep feeding them to your new recruit and use your medals to increase his/her stats. That’s right: Once you unlock a hero with 10 medals, he will join the game as a “grey grade”. Keep using the medals to increase the grade of your hero. There are 5 grades you can upgrade and each grade requires more medals. For example, upgrading the hero to Rare Grade will require 50 Medals. 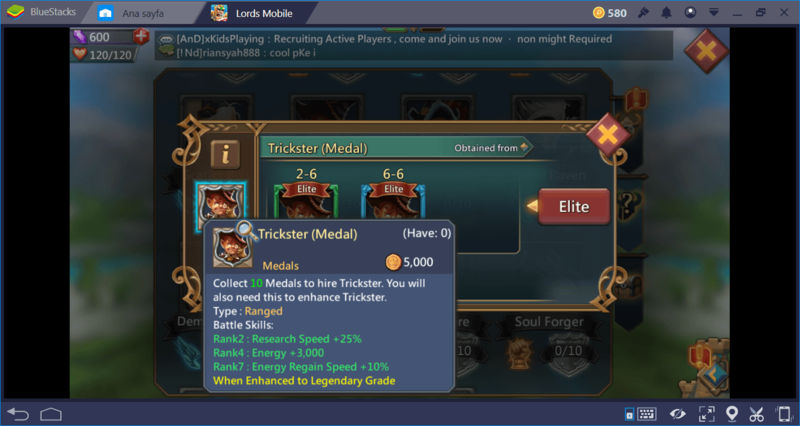 For the “legendary” grade, you will need 150 Medals. The only thing that limits you is your stamina: Sweeping requires stamina, and with each sweep, your stamina drops. Do not worry, it regenerates itself after a couple hours. Well, completing quests is the obvious way of leveling your hero. However, it is not as efficient as sweeping. You can, of course, complete Turf Quests to get experience points but many of them take too long to complete. 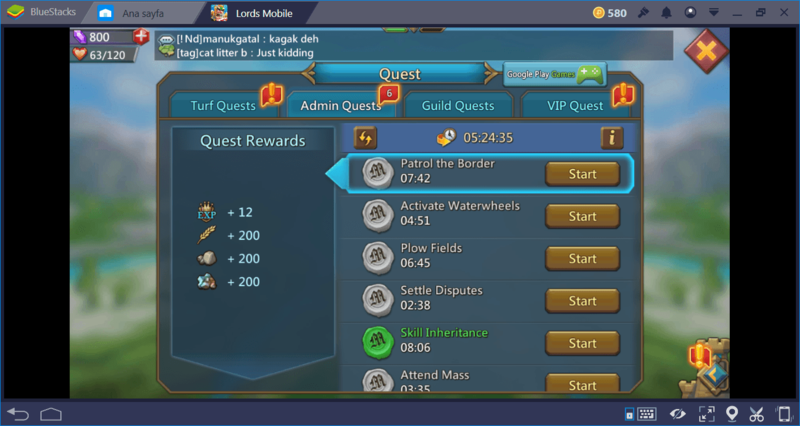 If you decide to follow this road, we advise you to do Admin and Guild quests (which require you to be in a guild). These quests refresh themselves each 6 hours and they award a hefty amount of XP. You can also buy Quest Scrolls from the in-game shop if you don’t want to wait 6 hours: Each scroll will instantly refresh these quests. Although, do not forget that these scrolls require Gems and Guild Credits to purchase. Now, you know how to unlock new heroes and how to level them fast – keep playing to conquer that kingdom. 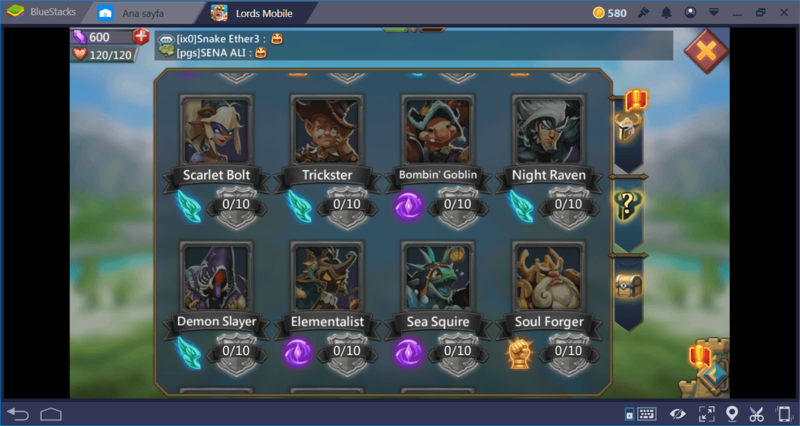 And do not forget that adding keyboard and mouse controls to Lords Mobile with BlueStacks will make this adventure more enjoyable. Good luck and Godspeed, this will be a long and fun journey!